Maxwell Technologies announced today that it has signed a Memorandum of Understanding with SK Innovation, a subsidiary of SK Holdings and Korea's leading energy provider, to develop next generation energy storage solutions leveraging the complementary characteristics of SK's lithium ion batteries and Maxwell's ultracapacitors. The two companies will explore and identify global commercial opportunities for products that enable enhanced functionality and improve energy efficiency in industrial, transportation and other markets. Lithium ion batteries are characterized by their high energy density, while ultracapacitors offer rapid charge and discharge capabilities, reliable performance in extreme temperature conditions and long operational life. "As our name implies, we are seeking to move beyond the limitations of existing technologies to develop and deliver products that better meet the requirements of the most demanding energy storage and power delivery applications," said Stephen J. Kim of SK Innovation's battery division. "Our goal is to develop truly differentiated products that will create large new opportunities for both companies." 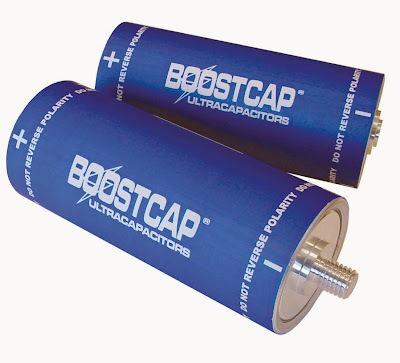 "While our respective products currently meet the needs of many applications as stand-alone solutions, Maxwell has always believed that ultracapacitors and batteries can be integrated to provide optimized products that offer the best of both worlds in terms of energy and power," said David Schramm, Maxwell's president and chief executive officer. "We are very pleased to have found a major lithium-ion battery producer in SK Innovation that is willing to invest in joint product and market exploration."